Four figures in natural poses to be placed in WWII diorama settings. 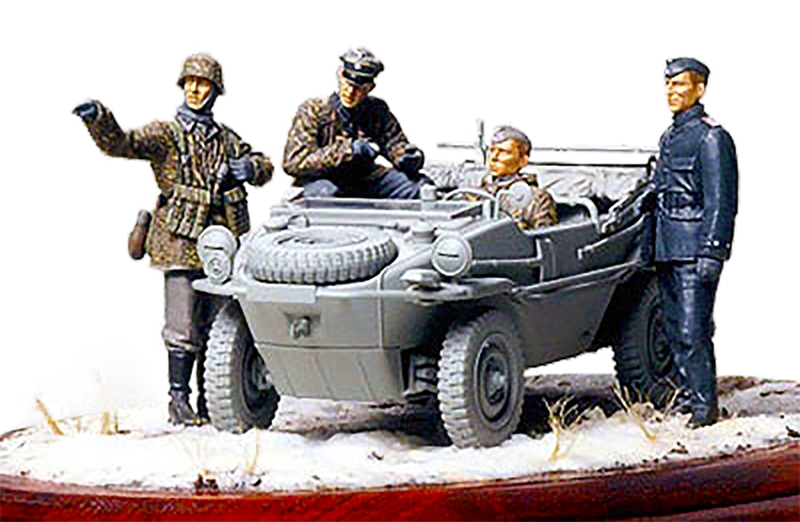 Figures are ideal for creating a scene around light trucks such as the German Schwimmwagen Type 166 (Item 35224)(Not Included). Figures included will be driver, passenger, standing officer, and standing soldier. Figures can be equipped with small arms such as MP447 and MG42(see German Frontline Infantrymen- Item 35196), and other hand held items such as maps.